The 10 ugliest football kits in history! 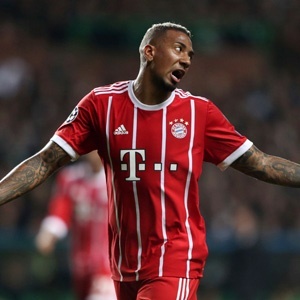 Berlin - Germany will be without World Cup-winning defender Jerome Boateng for Friday's friendly against England at Wembley. The German camp confirmed on Wednesday that the Bayern Munich star is struggling with a muscular injury and will sit out the international in London. However, the 29-year-old will stay with the squad for the friendly against France next Tuesday in Cologne. Germany's Real Madrid midfielder Toni Kroos is doubtful to face the Three Lions. He is suffering from a gastrointestinal infection, which has also affected reserve goalkeeper Kevin Trapp, who plays for Paris Saint-Germain. Mats Hummels, Boateng's centre-back partner at Bayern, also sat out Wednesday's training session in Berlin with a knock, but is expected to face England. The match at Wembley is the first of four friendlies against top-class opposition for the Germans, who host France on Tuesday then play Spain and Brazil at home next March to prepare for the 2018 World Cup. The England team has been decimated by withdrawals. Raheem Sterling, Fabian Delph and Jordan Henderson all dropped out on Tuesday after Tottenham's Dele Alli, Harry Kane and Harry Winks had already pulled out of the 25-man squad. Gareth Southgate's men kick off their World Cup preparations with back-to-back Wembley matches against Germany and then Brazil on November 14.